Fearful of a new alcohol ban, panicked citizens rush to corner stores to stockpile a sizeable quantity of their preferred spirit. There’s some outrage at the government’s bowing to the temperance-minded, of course, but no one knows when — or if — they’ll ever be able to consume their favorite drinks again. It sounds like a scene straight out of the Prohibition era, but there’s no sepia-toned reminiscence here. It’s just the reaction of college students to the Liquor Control Board’s recent decision to ban alcoholic energy drinks (AEDs), effective today. Washington’s LCB says it took emergency action to ban the drinks “in order to prevent harm to consumers,” a month after nine Central Washington University students were hospitalized following a house party in Roslyn, Wash.
Investigators blamed the students’ stratospheric blood-alcohol levels (.12 up to .35, where .30 is often considered potentially lethal) on the consumption of Four Loko, an AED, while acknowledging that some students also drank other types of alcohol. “Following the troubling incidents in Roslyn and in response to increasing reports of problems around the country, the board is acting now to ensure these products do not contribute to a tragedy before the Food and Drug Administration or Legislature can act,” said LCB Chair Sharon Foster in a joint statement with the governor, announcing the new rules. The FDA has been investigating the safety of AEDs since November 2009, when producers of the drinks were asked to submit scientific evidence that adding caffeine to alcohol was safe. The FDA hasn’t yet made a ruling. 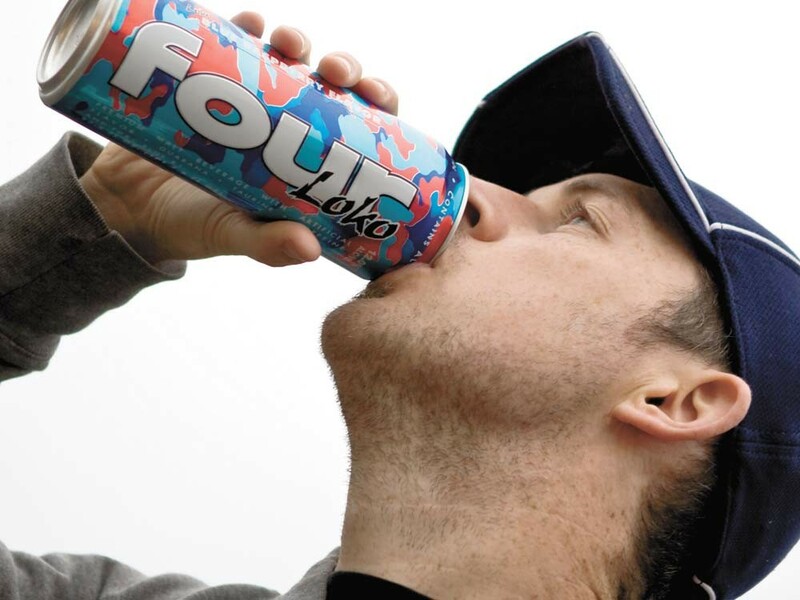 In its resolution of Nov. 10, the LCB lists two reasons why drinks like Four Loko are dangerous: The marketing messages of AEDs don’t “disclose the adverse effects and consequences associated with their consumption,” and the overuse of caffeine can result in overdoses. The former can definitely be an issue, says Jason Kilmer, an assistant director for education about alcohol and other drugs at the University of Washington. As to the caffeine levels, the scientific literature is unambiguous on one point: The effects of combining alcohol and caffeine can be dangerous. But it’s not, as the resolution suggests, the mere level of caffeine consumed. According to several studies, consuming alcohol mixed with caffeine can exacerbate the dangers associated with just drinking alcohol (likelihood of sexual assault, being injured, requiring medical attention), because the drinker is able to stay on his or her feet with the lowered inhibitions and mental characteristics associated with being extraordinarily drunk. The problem is, almost all studies on caffeinated alcohol rely primarily on the mixed drinks served at bars, like vodka-Red Bulls. No studies have shown that drinking a product like Four Loko is more or less safe than downing Jägerbombs (a shot of Jägermeister splashed in a glass of Red Bull). That’s simply because no one’s done any studies on them. Brian E. Smith, communications director for the LCB, says the board focused on premixed drinks for three reasons. “They’re two different types of products. The pre-mixed alcoholic energy drinks — these are accessible at your neighborhood convenience store. They appeal to kids — we think kids are trying to get their hands on them more often,” he says. Washington was not the first state to ban the drinks, nor will it be the last. Five states, including Michigan, Oklahoma and Utah, have banned them, while Montana has restricted their sale to state liquor stores. The main issue with the ban, espoused by fans of the beverages, is fairness. In a statement regarding Washington’s ban, Phusion Products, which makes Four Loko, implied the state was being disingenuous about its reasons for the regulation. “If the true concern was to preserve the public health, safety, and general welfare, this ban would also address caffeinated liquor products, which contain three to four times as much alcohol as our products,” Phusion wrote. And their complaints refer to products both pre-mixed and handled at the bar. Jägerbombs for example, contain 60 percent more caffeine and alcohol per ounce than does a can of Four Loko. Starbucks Coffee Liqueur, a bottled product available at state liquor stores, contains 60 percent more alcohol and nearly 500 percent more caffeine per ounce. Nevertheless, Smith, the LCB spokesman, says the board could not wait for legislation or for the FDA to act.